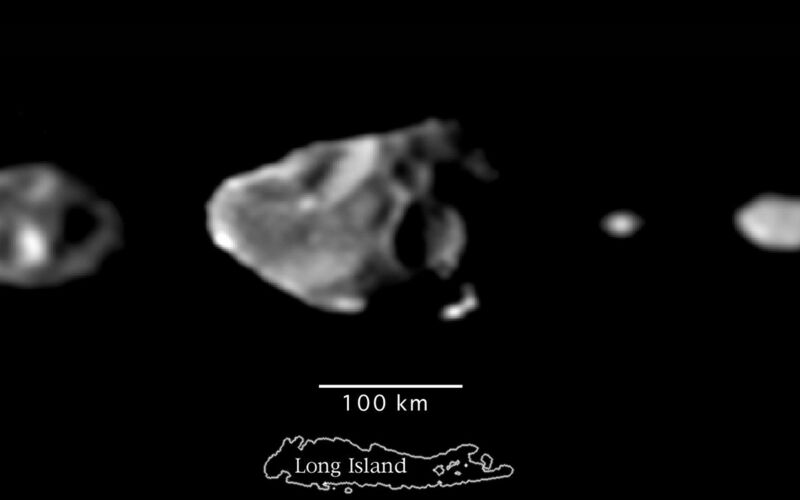 These are the best images of the small inner satellites of Jupiter taken by the solid state imaging (SSI) system on NASA's Galileo spacecraft. 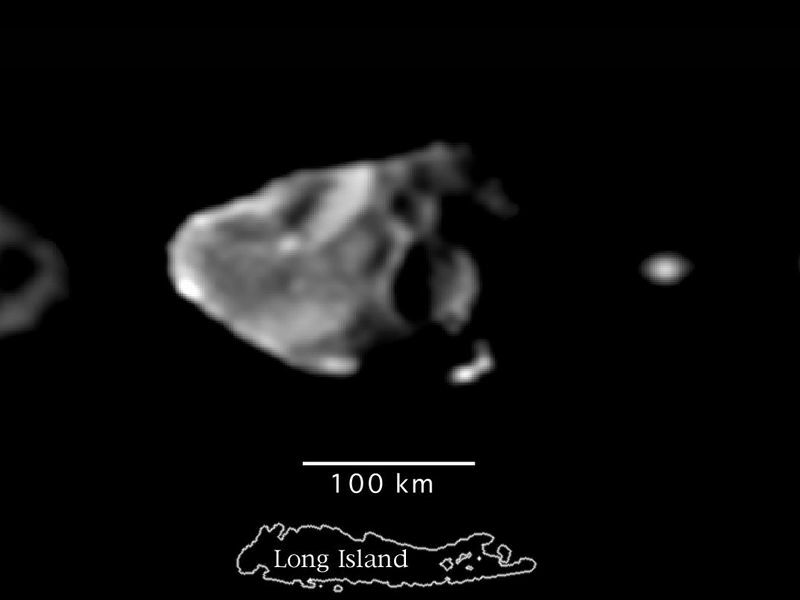 From left to right and in order of decreasing distance to Jupiter are Thebe, Amalthea, Adrastea, and Metis, shown at the same scale as Long Island which is 190 kilometers long. 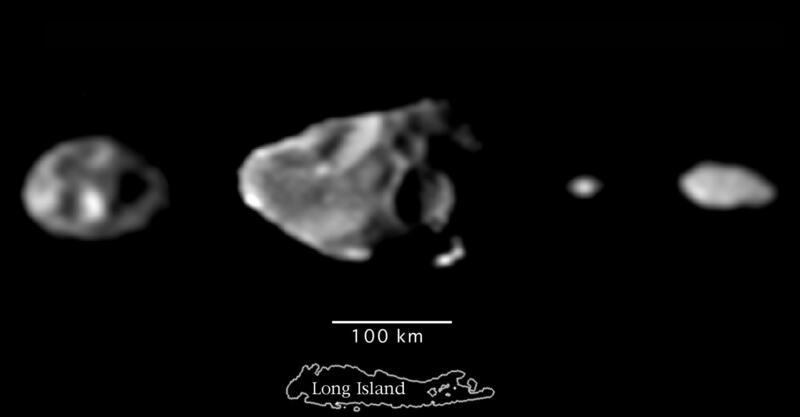 Since these satellites are so small, their surface gravities are very low: a person weighing 150 pounds on Earth would weigh about 1 pound on Amalthea, and about an ounce on Adrastea. Large craters 35 to 90 kilometers (20 to 55 miles) across which are the result of impacts by fragments asteroid and comet debris are conspicuous on the surface of the larger satellites.